The Kamoharai Blenny was once an expensive, sought after fish from Japan. It has been captive bred in the United States and is now more affordable. They do best at cooler temperatures, but some aquarists keep them in reef tanks. 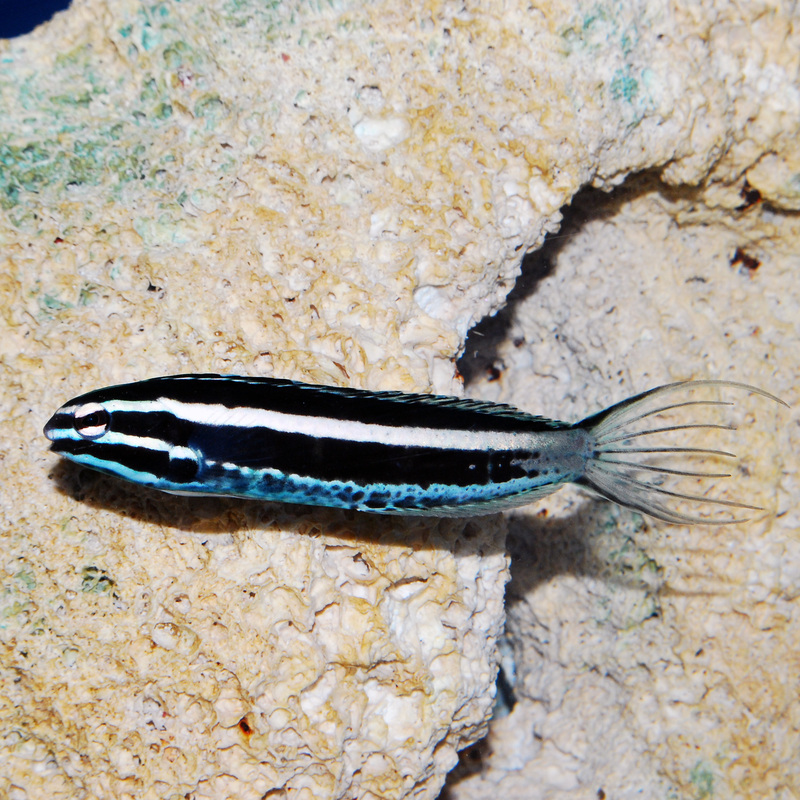 This is an active but peaceful species that is a great choice for the community reef tank. All Fang Blennies have high metabolisms and should be fed small amounts at least 2-3 times a day. They will accept a wide assortment of prepared foods and make themselves visible in the water column most of the time. The Blackline Blenny should be provided with ample rockwork in which to hunt and hide when threatened.